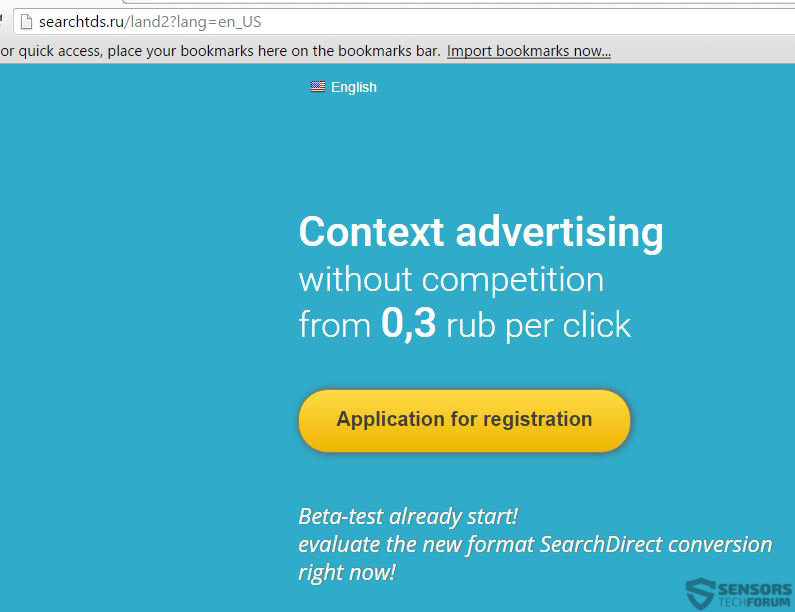 Browser hijacking software associated with the redirecting domain Smartsputnik(. )ru has been reported to haunt users during their browsing experience. The software is outlined as dangerous primarily because it is redirected via third-party domains and all users who have seen redirects associated with Smartsputnik(. )ru should immediately take steps towards removing it from their computer. Otherwise, the worst case consequences could eventually be stolen financial and personal information or malware installed on the user PC via third-party URLs. Symptoms The user may witness online advertisements as well as redirects to other potentially harmful domains. User Experience Join our forum to discuss Smartsputnik(. )ru Browser Hijacker. The Smartsputnik(. )ru browser hijacker is strongly believed to be associated with other PUPs (Potentially Unwanted Programs) like it. Such programs may perform the so-called privilege escalation with a purpose of installing Smartsputnik(. )ru on the computer, modifying Windows Registry Entries or adding it as an extension to the computer. This may result in the home-page of the user causing redirects to mail(. )ru search. Another method of distribution this software might employ is connected with bundling downloads. This is essentially the adding of the program to third-party downloaded software installers. These are usually the setups of free programs like media players, file converters, free antivirus utilities, etc. Some sites providing them may include Smartsputnik(. )ru masked “as a free extra” in the “Advanced” or “Custom” installations. Highlighted text on the websites visited. The danger of information theft via tech support scams, phishing websites or fake retailer sites. The risk of infecting the PC with malware via a malicious URL to which the user could be redirected to. This bottom line for this program is that it is most likely a part of a pay-per-click scheme, but it may also collaborate with third-party sites to redirect traffic to them. This is why its removal is strongly recommended by malware researchers. We have provided effective removal instructions with which you may permanently remove Smartsputnik(. )ru Hijacker from your system and protect it from future intrusions and we advise following them methodologically for maximum effectiveness. Remove or Uninstall Smartsputnik(. )ru Browser Hijacker in Windows. Follow the instructions above and you will successfully uninstall Smartsputnik(. )ru Browser Hijacker. Remove Smartsputnik(. )ru Browser Hijacker from Your Browser. After Smartsputnik(. )ru Browser Hijacker is removed, restart Mozilla Firefox by closing it from the red “X” in the top right corner and start it again. From the opened “Extensions” menu locate Smartsputnik(. )ru Browser Hijacker and click on the garbage bin icon on the right of it. After Smartsputnik(. )ru Browser Hijacker is removed, restart Google Chrome by closing it from the red “X” in the top right corner and start it again. Select Smartsputnik(. )ru Browser Hijacker to remove, and then click ‘Disable’. A pop-up window will appear to inform you that you are about to disable the selected toolbar, and some additional toolbars might be disabled as well. Leave all the boxes checked, and click ‘Disable’. After Smartsputnik(. )ru Browser Hijacker has been removed, restart Internet Explorer by closing it from the red ‘X’ in the top right corner and start it again. A pop-up window will appear asking for confirmation to uninstall Smartsputnik(. )ru Browser Hijacker. Select ‘Uninstall’ again, and the Smartsputnik(. )ru Browser Hijacker will be removed. Remove Smartsputnik(. )ru Browser Hijacker automatically by downloading an advanced anti-malware program. 1. Install SpyHunter to scan for and remove Smartsputnik(. )ru Browser Hijacker. 2. Scan with SpyHunter to Detect and Remove Smartsputnik(. )ru Browser Hijacker. Step2: After SpyHunter has finished scanning your PC for any Smartsputnik(. )ru Browser Hijacker files, click on the ‘Fix Threats’ button to remove them automatically and permanently. 6-Click on ‘Save settings and run backup’ on the next window in order to protect your files from possible attacks by Smartsputnik(. )ru Browser Hijacker. 5-Select the drive then click on ‘Ok’ in order to set up file backup and protect yourself from Smartsputnik(. )ru Browser Hijacker. 6- Click on Ok and you should see an indication in Protection settings that the protection from Smartsputnik(. )ru Browser Hijacker is on. 3-Click on Apply and Ok and the file encrypted by Smartsputnik(. )ru Browser Hijacker should be restored. 1. Download and Install STOPZilla Anti-malware to Scan for And Remove Smartsputnik(. )ru Browser Hijacker. 2. Scan your PC with STOPZilla Anti Malware to remove all Smartsputnik(. )ru Browser Hijacker associated files completely. NOTE! Substantial notification about the Smartsputnik(. 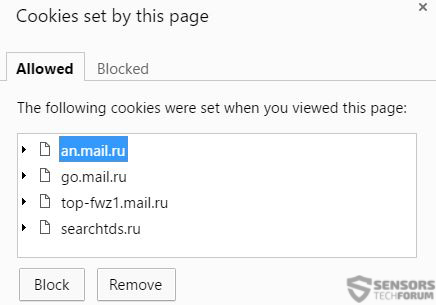 )ru Browser Hijacker threat: Manual removal of Smartsputnik(. )ru Browser Hijacker requires interference with system files and registries. Thus, it can cause damage to your PC. Even if your computer skills are not at a professional level, don’t worry. You can do the removal yourself just in 5 minutes, using a malware removal tool. Threats such as Smartsputnik(. )ru Browser Hijacker may be persistent. They tend to re-appear if not fully deleted. A malware removal tool like Combo Cleaner will help you to remove malicious programs, saving you the time and the struggle of tracking down numerous malicious files. Threats such as Smartsputnik(. )ru Browser Hijacker may be persistent on your system. They tend to re-appear if not fully deleted. A malware removal tool like SpyHunter will help you to remove malicious programs, saving you the time and the struggle of tracking down numerous malicious files. Note! Your computer system may be affected by Smartsputnik(. )ru Browser Hijacker and other threats. SpyHunter is a powerful malware removal tool designed to help users with in-depth system security analysis, detection and removal of threats such as Smartsputnik(. )ru Browser Hijacker. 1. Install SpyHunter to scan for Smartsputnik(. )ru Browser Hijacker and remove them. 2. Scan with SpyHunter, Detect and Remove Smartsputnik(. )ru Browser Hijacker. Ransomware infections and Smartsputnik(. )ru Browser Hijacker aim to encrypt your files using an encryption algorithm which may be very difficult to decrypt. This is why we have suggested several alternative methods that may help you go around direct decryption and try to restore your files. Bear in mind that these methods may not be 100% effective but may also help you a little or a lot in different situations. Note! Your computer system may be affected by Smartsputnik(. )ru Browser Hijacker or other threats. Remove Smartsputnik(. )ru Browser Hijacker by cleaning your Browser and Registry. Fix registry entries created by Smartsputnik(. )ru Browser Hijacker on your PC. Combo Cleaner is a powerful malware removal tool designed to help users with in-depth system security analysis, detection and removal of threats such as Smartsputnik(. )ru Browser Hijacker. Step 5: In the Applications menu, look for any suspicious app or an app with a name, similar or identical to Smartsputnik(. )ru Browser Hijacker. If you find it, right-click on the app and select “Move to Trash”. Step 6: Select Accounts, after which click on the Login Items preference. Your Mac will then show you a list of items that start automatically when you log in. Look for any suspicious apps identical or similar to Smartsputnik(. )ru Browser Hijacker. Check the app you want to stop from running automatically and then select on the Minus (“–“) icon to hide it. Remove Smartsputnik(. )ru Browser Hijacker – related extensions from your Mac’s browsers. A pop-up window will appear asking for confirmation to uninstall the extension. Select ‘Uninstall’ again, and the Smartsputnik(. )ru Browser Hijacker will be removed. When you are facing problems on your Mac as a result of unwanted scripts and programs such as Smartsputnik(. )ru Browser Hijacker, the recommended way of eliminating the threat is by using an anti-malware program. Combo Cleaner offers advanced security features along with other modules that will improve your Mac’s security and protect it in the future. Hey !, I found this information for you: "Remove Smartsputnik(. )ru Browser Hijacker Redirect Ads from Your PC". 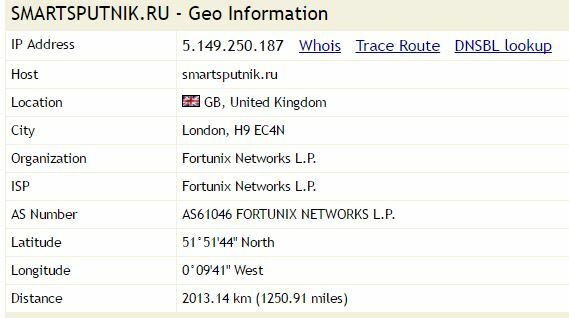 Here is the website link: https://sensorstechforum.com/remove-smartsputnik-ru-browser-hijacker-from-your-pc/. Thank you.